Ohio Kerry voters, could have voted at an adjacent precinct using the wrong ballot order." "... I focus on one Presidential election issue, cross-votinghow votes cast one way are counted as a vote for a different candidate or option. 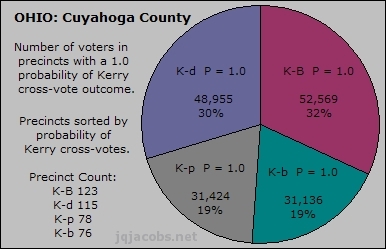 I also focus on Ohio and a particular area with one-tenth of the Ohio vote, Cuyahoga County. ... 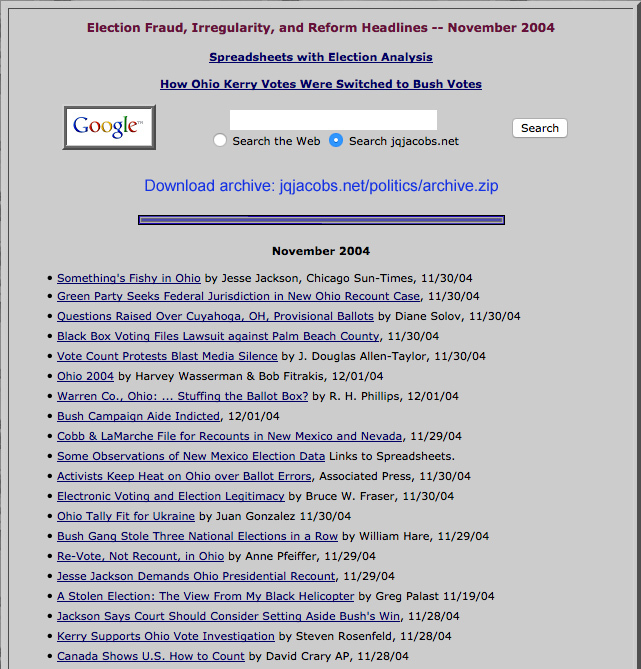 This article discusses problems with the 2004 Ohio Presidential election generally and demonstrates how the Cuyahoga County election was inherently unfair and resulted in many Kerry votes going uncounted, counted as third-party votes, or being switched to Bush votes...."
the Kerry-Bush margin shifts 6.15% ..."
PowerPoint presentation featuring highlights from the article. Download vote_switching.ppt - 700 Kb PowerPoint file. PowerPoint presentation comparing various probability sorts. 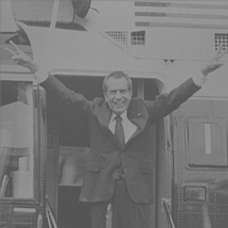 Download precinct_switching.ppt - 680 Kb PowerPoint file. Ohio, Florida, New Mexico, South Dakota, Iowa, Nevada, California, Wisconsin. NEW: July 2006 spreadsheet updates with vote-switching probabilities. 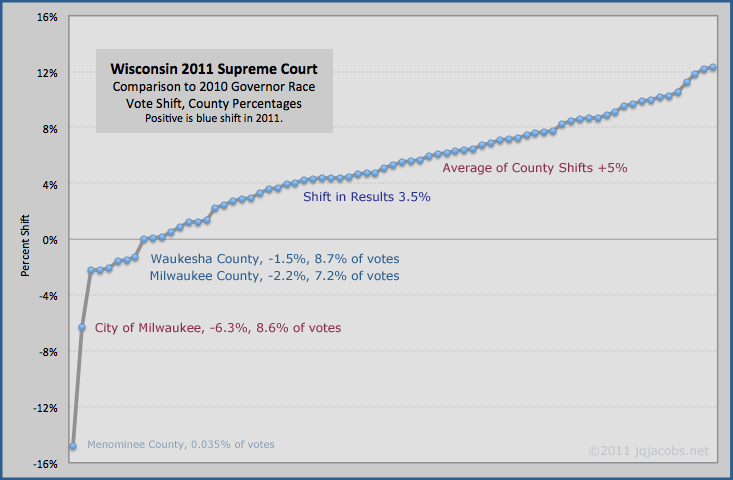 See VotersUnite.org News to research more recent or earlier events. 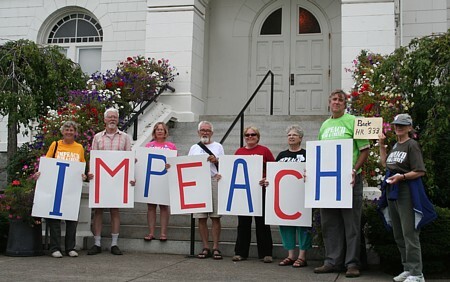 Photo Gallery: Peace Demonstration at the Benton County Courthouse.